I`m voting for this because I can`t ever recall one band trying a different genre of music for every song.Don`t beleive me? I think a lot people ignored it because of the bizarre track times. Two of the songs being 1 minute odd long and the other three being over 10 mins. But it is a very impressive album and the message behind it is interesting too. Dogs and Sheep are classics. 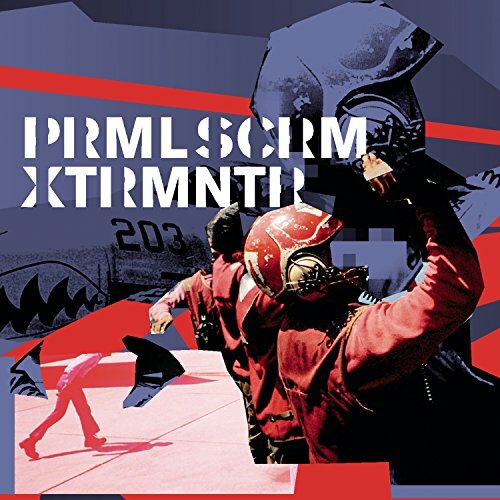 I haven't ever heard Primal Scream. What's a good song by them? You haven't heard of Primal Scream? ^ What genre are they? They change with every album lol. Screamadelica is indie/neo-psychedelic/dance. But if you look at urban's post above you can just see their diversity. Lol- yeah that is pretty diverse. Well, Rolling Stone overlooked a lot of albums, they primarly payed too much attention to conventional hard rock, folk rock, blues, R&B, New Wave and Punk...As a result, a lot of alternative, metal, jazz and progressive rock was left out. Save 4 Pink Floyd albums, 1 Captian Beefheart album and 1 Jethro Tull album, Rolling Stones top 500 albums list ignored progressive rock completely, not ONE album from Yes, King Crimson, The Moody Blues or Genesis...Instead they had to focus on more important bands like Hole, Cyndi Lauper, Kiss and The Go-Gos...RS's bias against progressive rock has always bugged me, they may not like prog but that shouldnt have affected the greatest lists, KC and Yes has had more inluence than a handful of the artists who made the list, denying their impact and importance is ridiculous...In The Court Of The Crimson King should have difinitely been there. They overrated punk a little, but even so they left out a lot of great punk albums, including Fresh Fruit For Rotting Vegatables, My War, Is This Real?, Damned Damned Damned and Blank Generation.